TACHYONMETRY was born on an organic farm during a harvest festival in 2005, where Brian Pearson and Cliff Cole met as volunteer musicians. After years at this annual event, they both agreed they had something special. 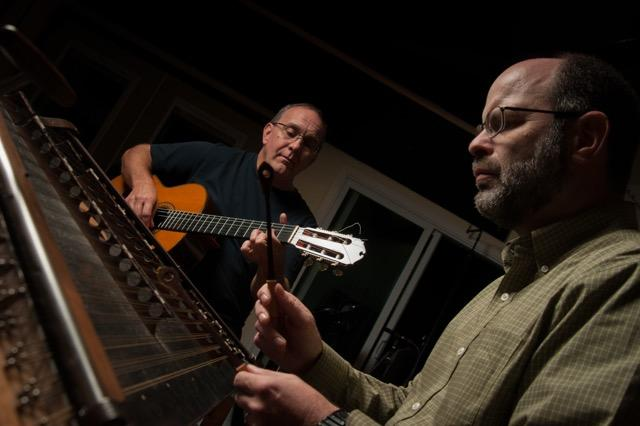 The sultry smooth sounds of the nylon string classical guitar were complemented perfectly by the percussive, ethereal qualities of the hammered dulcimer. Along the way, Cliff was producing his daughter’s solo album and they asked for Brian’s help with the recording. Brian also joined the band for Emily Rose Cole’s 2013 tour. 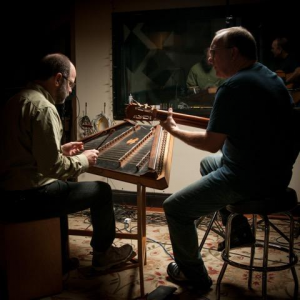 In 2014 Brian and Cliff decided to start working on an their own recording. This labor of love has been filled with many other musicians who have colored the tunes and blessed the project. In 2016, TACHYONMETRY (tackee.on.mətree) was coined, framing the future of the project and establishing Brian and Cliff’s vision of pushing the limits of the musical and spiritual realms towards an ever changing landscape of harmony, melody, and lyrics. 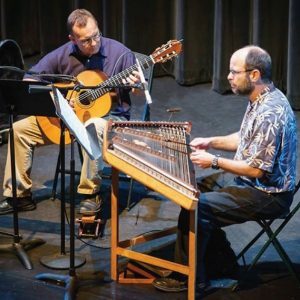 Brian and Cliff will be playing at the Philadelphia Classical Guitar Society’s Professional Members Concert, on Sunday December 2nd, 3:00. The concert will be held at the Settlement Music School, 416 Queen St, Philadelphia.